I'm all about the advent calendars this week. Whether it's M&S's Christmas Tree version, or one of my top ten choices for all budgets, there are plenty to choose from! But I know not all of you want to spend £50+ on one, so I thought I'd do a quick roundup of some of the more budget-friendly ones available this year. A couple would also work really well for a younger audience, so there's definitely something for everyone! Studio 12 Days of Christmas – if you love nail polish, you need this little beauty from Studio! It’s much more affordable than Ciate’s Mini Mani Month and contains 12 different polishes. There are eight regular shades and four glitter toppers, so plenty of choice to create lots of different looks over Christmas and beyond. It’s half price in Superdrug at the moment at just £8, so track one down quickly if you like the look of this one! Dirty Works Beauty Calendar – You get 24 different treats with the Dirty Works calendar, so it will carry you all the way through December, right up to Christmas Eve. There’s a mix of mini bath and body favourites, beauty tools and even a nail polish included, giving a great selection of products. It’s £15 and available from Sainsbury’s – well worth popping in your trolley with your food shop! 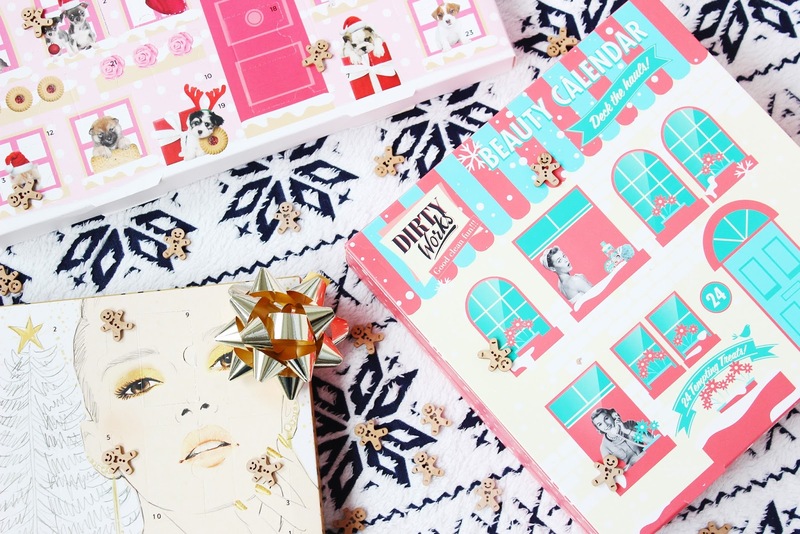 Flutter Beauty Advent Calendar – I love the cute packaging on this one! 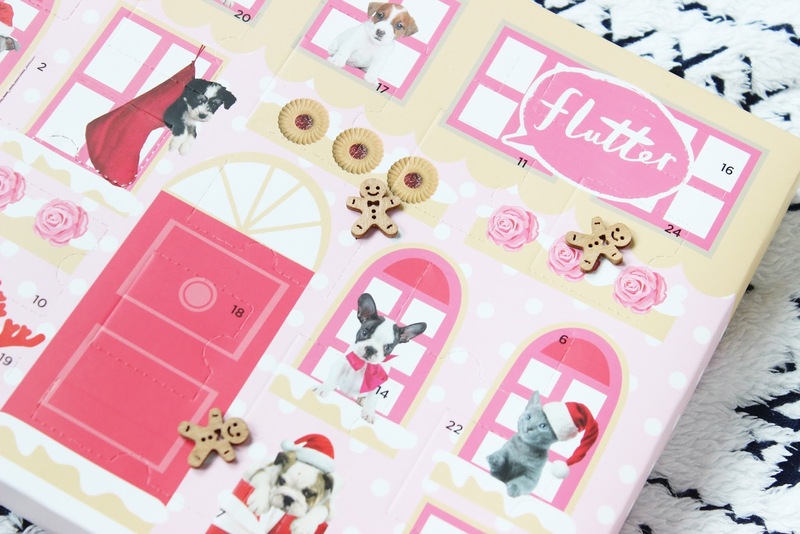 Flutter is a Superdrug brand that does have a bit of a younger feel to it, but to be honest, who’s not going to love an advent calendar covered in cute puppies and kittens?! There are 24 doors to open, each of which hides a mini beauty treat. Inside there are 8 eye shadows, 4 lip glosses, 4 lip balms, 4 eye applicators and 4 lip applicators. The packaging on the products themselves are pretty basic, but for £8, it’s a really lovely treat. Sweet Snuggles 12 Days of Christmas – While this one isn’t so much of a traditional calendar as you can see the products inside, I think it’s a really well executed idea. It has 12 mini treats that are all scented with a vanilla or Christmas cookie scent and it mixes up bath fizzers, lip balm, body scrub, shower gel, body lotion and a few mini beauty tools. It’s another Superdrug only calendar (they seem to have a great mix of budget-friendly ones) and is also on offer for £8. Have you got yourself a beauty advent calendar this year? Which one did you go for?